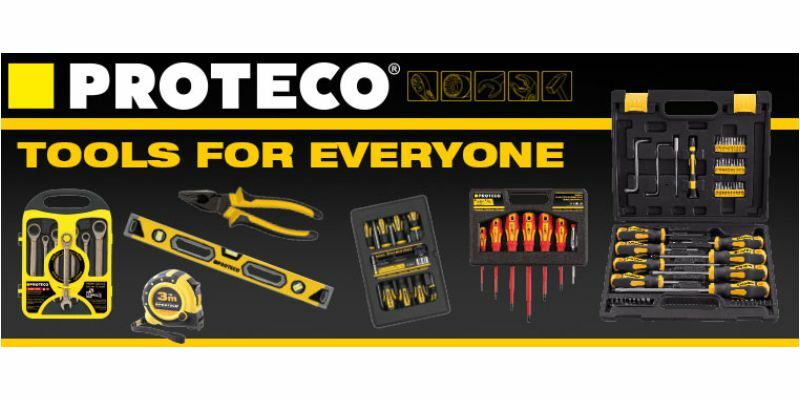 This time in our blog section we would like to share a bit about PROTECO, tool company from Czech Republic. They offer wide range of products as wire brushes, center punches, drill bits, auger bits, drill attachments and many more. PROTECO specialize in hardware and tools production more than 25 years. Originated in 1992 as the answer for growing demand of tools in post-revolution period. It was just after Velvet revolution in Czechoslovakia in 1989. The non-violent transition of power and arising demonstrations against Communist Party, which ended 41 years of one-party rule in the country and subsequently, planned economy dismantled and converted into a parliamentary republic. This situation allowed businesses to start and grow. Good timing for PROTECO to make a decision worth in long run despite all bureaucratic wiles. It all started in small unit near capital city Prague and slowly year to year had been company growing, extending product range and had been recognized by customers as a strong and quality brand within tool industry. Nowadays company is based in picturesque village Podbrezi, around 2 hours drive from Prague. The warehouse area is huge, around 3500 pallet spaces. This gives enough room for constant supplement of goods to wide network of dealership. We had been informed last year during our visit that company wants to establish even stronger position not only on domestic market, but also reach other markets abroad. That’s why we are very proud to work with PROTECO and be able to offer top quality products as wire brushes, center punches, drill bits and many more at discounted prices to our customers. As when you need quality tools, you can be sure The Sanding Room has got them for you! This entry was posted in Blog and tagged Proteco.